The BluSynergy eBill product supports the well established Secure File Transfer Protocol (SFTP) standard (also known as the SSH File Transfer Protocol) for the transmission of CSV data files between client systems and the BluSynergy servers. 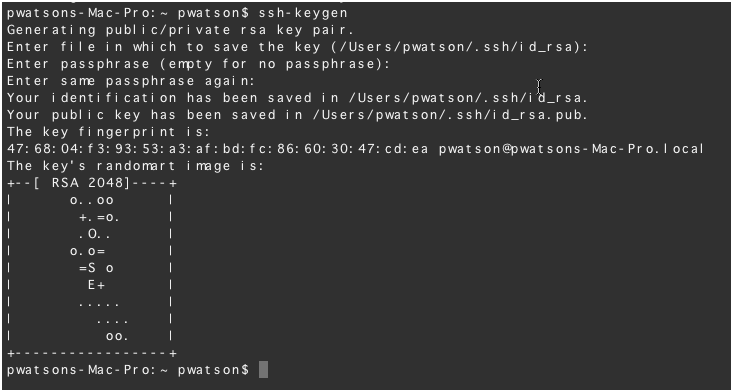 Security is controlled in SSH fashion using public and private keys (PKI). This document outlines the procedure for generating a public key which is then used to permit SFTP access. The generated public key is ".pub" file which can be transmitted over email to the BluSynergy support group. By it's very definition, your "public key" is available to anybody without compromising your security. Associating the key with your email address helps you to identify the key later on. Click <Enter> to accept the default location and file name. If the .ssh directory doesn't exist, the system creates one for you. The file with the ".pub" extension is required by BluSynergy to provision SFTP access. Please attach the ".pub" file and email the file to our support team. Please note that your private key is confidential, and should never be transmitted or given to anybody. Once you receive an email notice stating your SFTP account is active, you may transmit files. It is usually helpful to manually verify the connection.